Get Clean. Stay Clean. : Lose Yourself? I like thought-provoking lyrics but there is one rhyme from rap artist Eminem that takes the proverbial cake. It comes from his acclaimed hit “Lose Yourself” from his blockbuster movie “8 Mile”. ‘Em’ (as he is sometimes called) raps, “His palms are sweaty, knees weak, arms are heavy, there's vomit on his sweater already, mom's spaghetti, he's nervous, but on the surface he looks calm and ready.” Now, one might ask, how can you talk about vomit in a rap/pop song, make it a hit, and win an Academy Award as well? Talent! Plain and simple, which Eminem has flowing out of him rushing like the waters of Niagara. He spits rhymes that gives a bird’s eye view into his feelings about the world and his life growing up as a poor, white kid just outside of Detroit. The story of Eminem has been well chronicled so I’ll leave that to those who have already done so. I would, however, like to highlight an article about him I found on the website www.globalgrind.com entitled, “Eminem’s 12 Step’s to Recovery” by Steven Horowitz. In the past few years, Eminem had a well publicized addiction with pain killers which resulted in his lackluster album Relapse. That album was more about his drug addiction, selfish behavior, and other problems that continued to mire his life than fans wanted or expected. Now, in 2010, he has returned with a new album simply called Recovery. 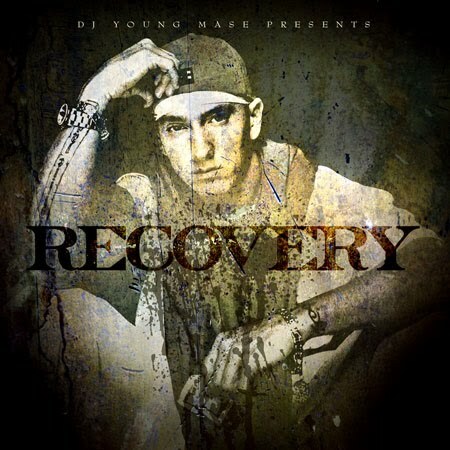 Horowitz makes some interesting parallels between the material on Em’s new album and the 12 Steps of Recovery, specifically Narcotics Anonymous. Each song contains the essential message of the 12 Steps such as “Going through Changes” which has Em rapping about how far down he had gone due to his drug abuse ala Step 1. In “Cinderella Man: Em gives props to God noting the high improbability of his continued existence without the help of God, which echoes Step 2. “Not Afraid” mirrors Step 3 and the action step of surrender. The album continues revealing hints of Steps 4-12 proving that Eminem is a man on a mission of personal change and maturity. Is his recovery complete? Musically? Perhaps? But, as for the man himself, he’s just getting started. I think it is important for the addiction community to pay attention to the ways pop culture both helps and hinders the recovery process through different types of media such as music, television, and movies. For all the cultural junk out there, I was glad to find this uplifting article on globalgrind.com. Thankfully, this article highlights the fact that an artist like Eminem, who has massive power, money, and influence, is using his musical platform to speak truth to a world that is hurting. Suboxone – miracle or menace? Over 5 alcohol detoxes this month.